Every novice gardener dreams of bountiful harvests and plentiful produce sprouting from their land, but which tasty choices can best handle inexperienced care? Knowing the best garden vegetables for beginners can help every new gardener have great success from their very first harvest. Not all vegetables will thrive for beginners, but some varieties are more forgiving of soil type, improper watering, pest infestations and occasional neglect. While many new gardeners can be quite conscientious about their vegetable-growing efforts, these veggies can thrive even with less than ideal care. In addition to beginner-friendly vegetables, new gardeners should also try some basic herbs or easy flowers in their garden. This adds variety to the plot and further enhances all gardening efforts. It can be overwhelming to get started growing vegetables. 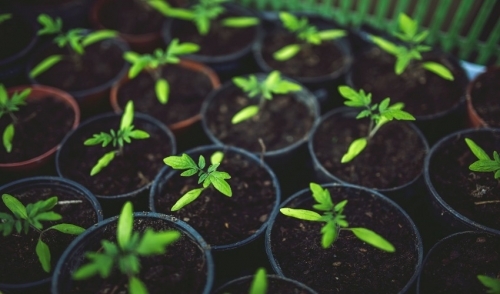 Should you try seeds or seedlings? Which veggies are right for your local gardening conditions? How do you tell a plant is healthy? When is the produce ready for harvest? Why will one plant grow while another dies? What are all these bugs? With a few easy steps, however, you can help all your vegetables thrive. Most vegetables grow best in a full sun garden that receives 6-8 hours of bright sunlight each day. When planning where to put your garden, take into account any nearby trees, walls or fences that may provide shade at different times of the day. No matter what veggies you hope to grow, they will need rich, fertile soil for the healthiest plants and tastiest produce. Add compost to the soil, minimize weed growth and apply fertilizers properly to provide excellent soil for your vegetable garden. Even if you only have a small garden, you can have a huge harvest if you plan your space properly. Consider raised beds for easier care, or use a trellis or arbor to help grow climbing plants in vertical areas. Rotate crops each year to rejuvenate the soil as well. When you're just getting started growing vegetables, don't try strange, new tastes or veggies you've never heard of. Instead, stick with your favorite varieties to ensure you will pay better attention to the garden and be eager to use every vegetable you grow. It is always a good idea to read up on growing tips and techniques for specific vegetables. Learn what soil types your favorites will thrive in, how long the growing season may be, how to increase your harvest and other tips for exactly the vegetables you hope to grow. Proper watering is critical for the success of any garden, and vegetables that are well-watered will be healthier and more pest-resistant. Learn how much water your veggies need and adjust any sprinklers, drip system or other watering to coordinate with rainfall levels. Every garden will have its share of hungry visitors, from slugs, beetles and other bugs to birds, squirrels, gophers, rabbits, deer and more. Learn which garden pests are most common in your area, and take steps to safely deter them without damaging your produce. Bigger isn't always better in the garden, and you need to learn just when to harvest your vegetables for the best taste and texture. If your harvest is bountiful, you may want to can or preserve some of your veggies, or you can share them with family members, friends or neighbors to spread your garden wealth. Growing vegetables can be very rewarding. Even if you've never started a single seed before, you can enjoy tasty produce from your very own veggie garden if you take steps to make your beginning garden your very best effort.